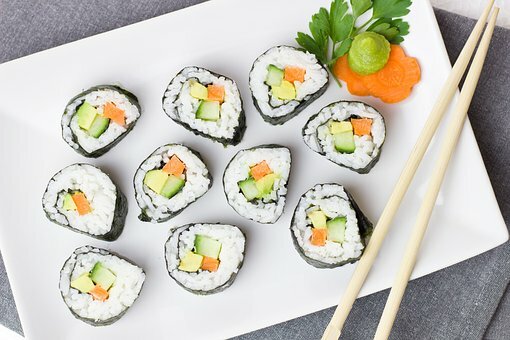 What Does Sushi Taste Like: Is It The Best Taste? Would you want to have an idea on what ﻿﻿﻿﻿﻿does ﻿sushi taste like? Discover more about it here. Are you so curious on what does sushi taste like? With lots of cartoons or movies showing how delightful a sushi is, many of you may wonder on how does your tongue reacts to that type of food. 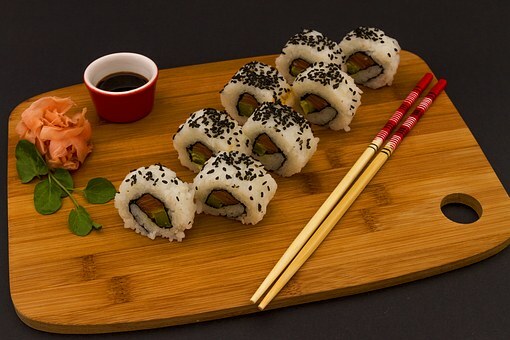 Unlike other countries, which are used to eating sushi, countries in other parts of the earth are craving or extremely interested in knowing its taste. We’ll let your wonders and curiosity be cleared as provide you the answers. First, let’s get to know more about sushi. This dish may be very popular throughout the world, but only few would understand the type of dish sushi is. 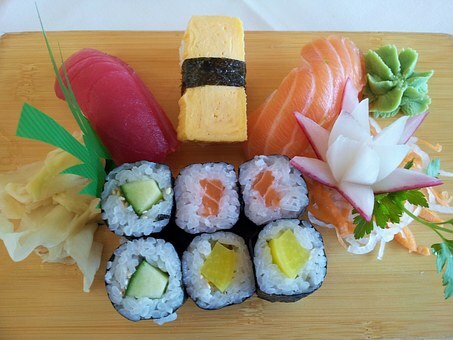 Many would believe that sushi is a raw fish. But that raw fish is called sashimi and is just one of the known ingredients in making sushi. Sushi refers to a particular dish, which uses a kind of rice that is typically seasoned with other ingredients like salt, sugar, and vinegar. In other words, sushi is usually about the rice. The common rice or grain used in preparing sushi is the short grain because it’s stickier and could hold better into a particular shape. 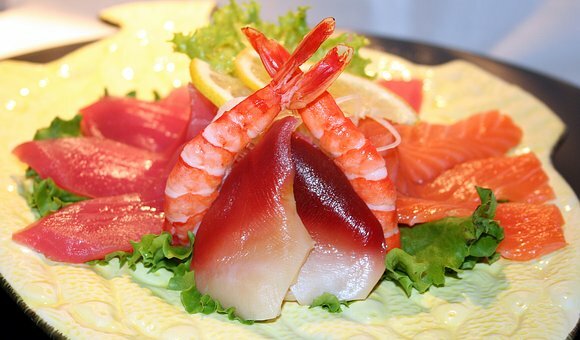 The type of sea food or fish that is needed in making sushi is “Neta.” This would be mackerel, eel, octopus, sea snails, salmon, tuna, and others. Most people would prefer eating fish that contains red color due to its appealing look as well as the notion that it’s more nutritious than other options out there. But in reality, the fish color could not serve as an indication of its nutritional content. When eating sushi, you must just be mindful of the freshness of the fish. You may have seen or watched some TV shows demonstrating how a sushi ingredient like fish is being cut. And yeah, it’s cool and amazing. 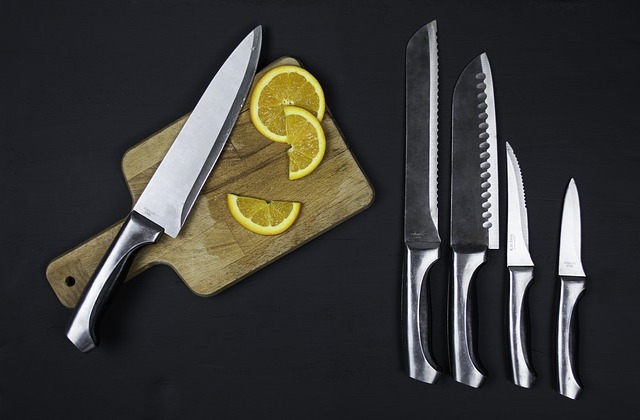 The knives used by Japanese are one of the finest kitchen knives that you could have in the world. It became a must watch a show every time Japanese starts to use their knives to work on food like sashimi and sushi. So what does sushi taste like? Is the taste always the same? When you ask different people on what it tastes, you may get unified answers. The reason is that sushi could take varied kinds. The taste will be dependent on the type of sushi you’ll eat. And also, there is sushi that doesn’t have fish on it. The fresh sushi, which has raw fish on it doesn’t have that strong fishy taste, flavor, and smell. The fact is, you’ll taste a little or light flavor. Moreover, it has almost no odor. But the other ingredients such as cream cheese, mayonnaise, seaweed, fish eggs and others may contribute to its smell. If you experienced having sushi with fish that’s strong smells, that’s an indication that the fish is not that fresh. The flavor of sushi may vary depending upon the way it’s eaten. 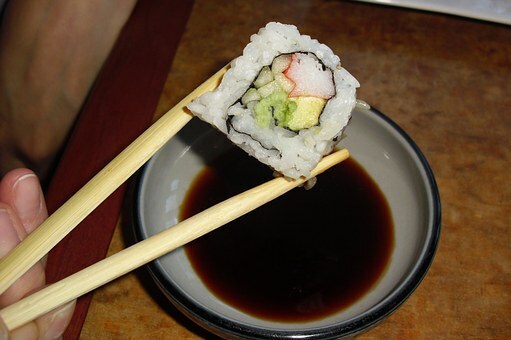 For example, the Nagiri, a type of sushi, is commonly eaten using chopsticks. But the right way to eat it is through hands. Another thing that affects the taste of sushi is dipping it in the wrong sauce. 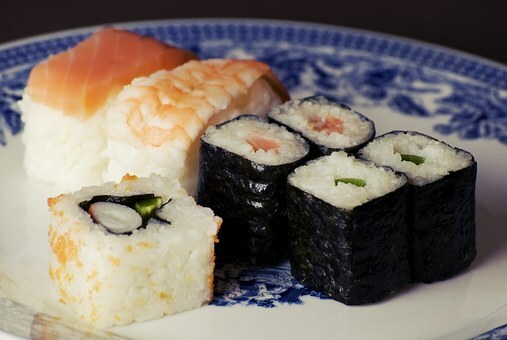 For example, some people dip the sushi (rice portion) to the soy sauce, which may just overpower the rice’s seasonings. The egg portion is the part where you should dip it. Other reason why there’s a change of flavor lies in the mix of soy-wasabi. In a sushi that is properly prepared, you will not add wasabi anymore. But if you really want some addition of it, you should directly put it to your sushi. Another mistake the sushi first-time eaters may commit is placing ginger on the sushi. This is not appropriate since the gingers only purpose is to clean or cleanse your palate. In general, this dish shouldn’t have a single overbearing flavor. There should be a balance between the seasonings, the rice, and the fish. Achieving a balance-flavored sushi is a crucial thing in its preparation. This is to attain balance sweetness and saltiness as well as its flavor. Aside from Nagiri, here are some of the other types of sushi. You may know what it tastes like due to the ingredients put on it. This type of sushi is a variant of the sushi Nagiri. Instead of an oblong shape, it took the shape of a small and round ball. It appeared as colorful little balls that mix contrasting hues of cooked vegetables, seasoned rice, and the sushi sashimi. Typically, this is usually served during girl day in Japan. 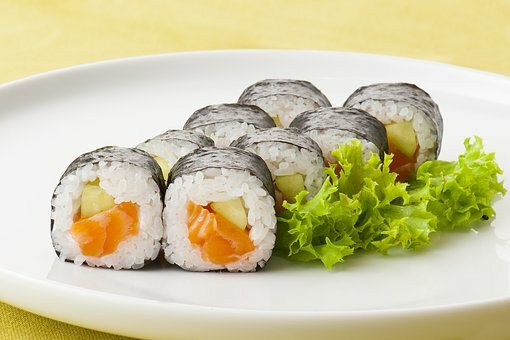 The Maki or Makizushi consist of ingredients that are wrapped in rice, which is filled with nori seaweed and then rolled. The toppings or fillings of this sushi could be anything. It could be whole, puree, sliced or raw. Moreover, it could be fruit toppings pickle, vegetable, meat, and seafood. Each ingredient should complement each other. Balanced-flavored Maki has a pleasant smell. This thin sushi roll is very common and popular in Japan that is usually made for picnic, snack, and lunch. It’s ideal for such due to its flavorful concentration and bites size. Typically, along with the inside portion of sushi rice that is wrapped around with Nori, is only one filling. There are also other famous types of Hosomaki that you may like. 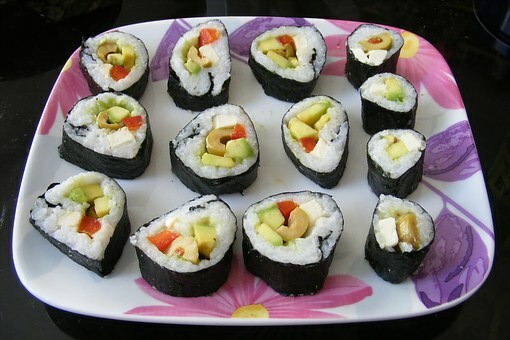 This includes Tekkamaki, Negitoromaki, Kappamaki, Natto Maki and others. 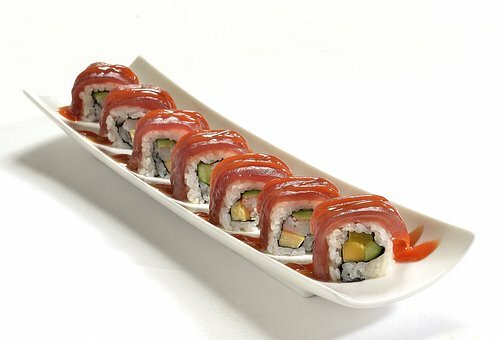 The tuna avocado roll (spicy) - this is composed of ground tuna that is combined with Sriracha. Then, it’s rolled with avocado slices. This sushi is also known as Japanese warship because of how it appears. It looks like a battleship, but this is actually a Nagiri ball that has wrapped seaweed in its perimeter. For the toppings, this sushi may have salmon roe, sea urchin, oyster, bay scallops, capelin eggs, egg yolks of quail and others. The raw ingredients are being diced smashed and chopped. These are combined with right spice to achieve balance. The taste of sushi will be dependent on some factors like the way it’s being eaten and prepared. That is why you shouldn’t confused when people told the different taste of it. There are a lot of ingredients or seasoning that could be added to a sushi that also creates lots of difference on its taste. It’s indeed, one of the best and distinct dishes you’ll taste. 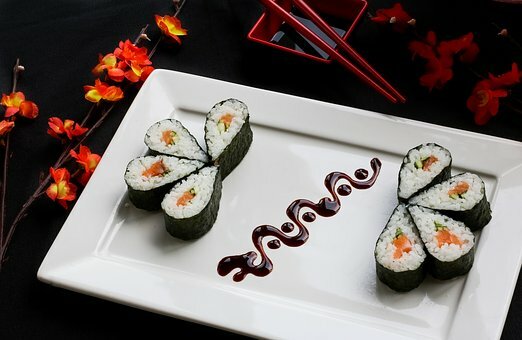 We love to hear your comments about sushi. Have you eaten sushi before? Share your experience below!